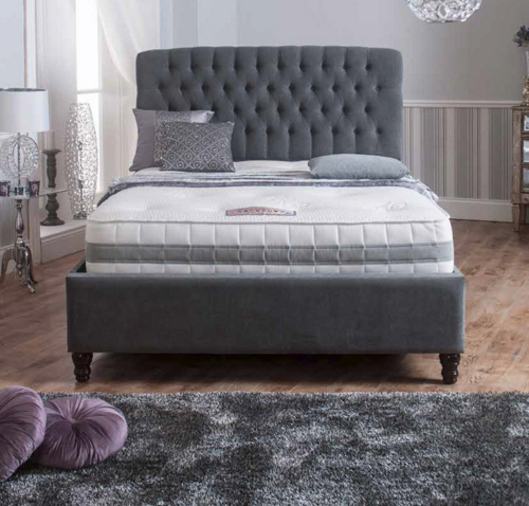 The Venice has a deep padded fashionable headboard, along with a Pull Back Storage compartment. 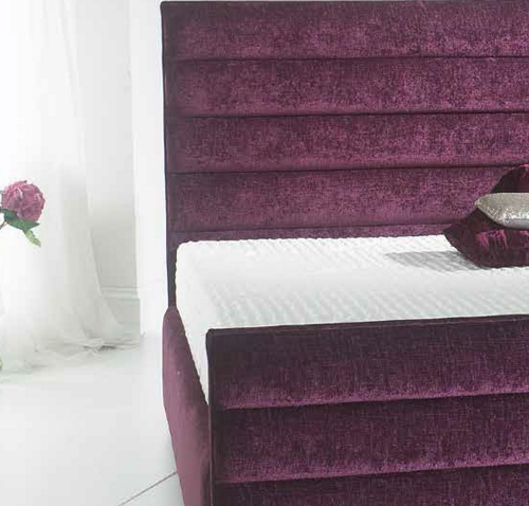 The Venice above is shown here in the amazing Chenille Aubergine. 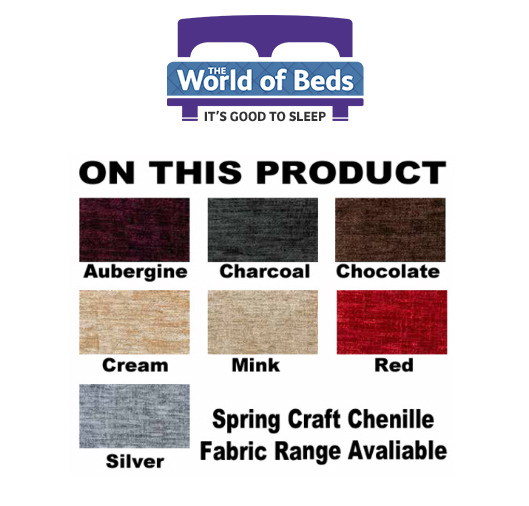 Our Special order is a combination of fabric finishes and / or a combination of colours. The images do not do justice to the fabrics themselves. 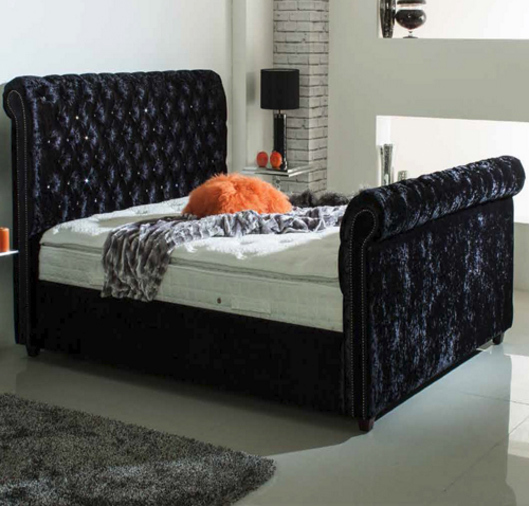 They are a mix of both plain and chenille / velvet upholstery. Our special fabrics are heavy weight and expensive. 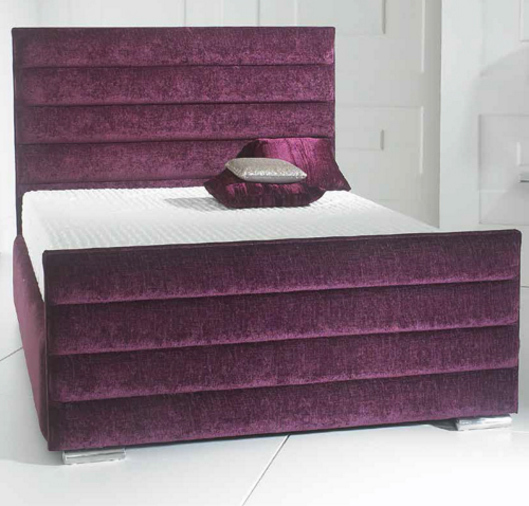 Other fabrics are also available, please do contact us and we can offer custom finishes and premium combinations. 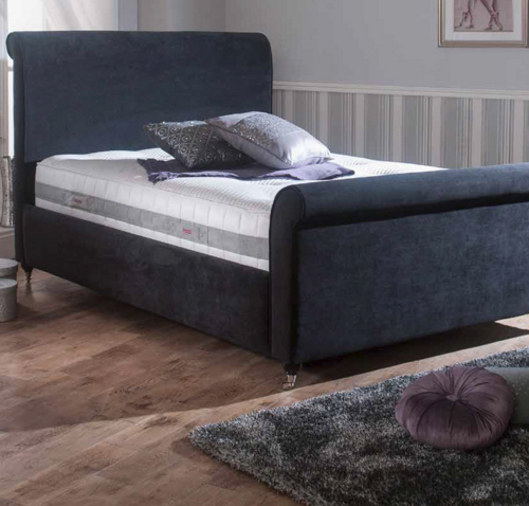 The Venice bed is avaliable in all Spring Craft fabrics.